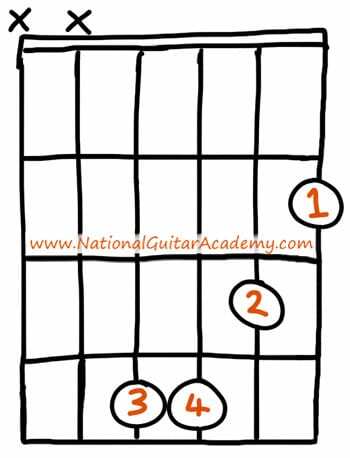 Why is the B minor guitar chord so hard to play? Because a ‘barre’ is needed to play the chord in its standard form. As you can see, it’s a tough chord to play. 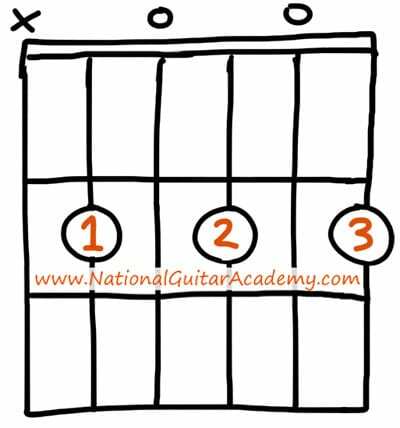 You’ll need to be an intermediate guitar player to consistently play this chord quickly and accurately. 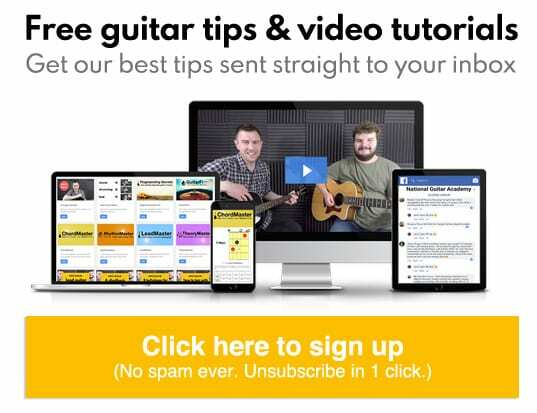 Beginner guitarists need easier options. Let’s check them out! I’m not a fan of this version of Bm. 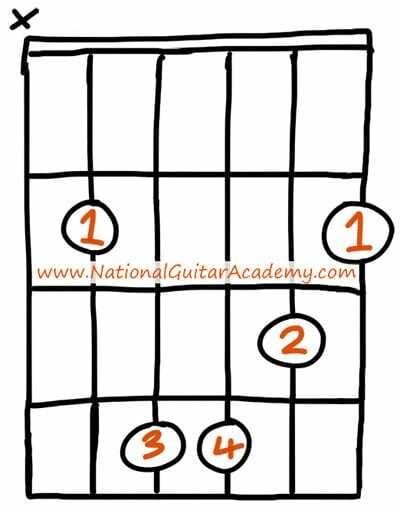 Sure, it’s a B minor guitar chord and it is easier to play than a barred Bm, but my beginner students still find this chord too difficult to play, so I always recommend an even easier version of Bm. This lovely chord is called Bm7. It’s a close variant of Bm that sounds great and is much easier to play than a standard B minor guitar chord. Bm7 is still still a bit fiddly because it requires 3 fingers, but it’s simpler to remember and to play because the notes are all on the same fret. In my experience most beginner guitarists can learn to play this chord accurately and consistently within a few weeks. This doesn’t sound as good as Bm7 (it isn’t as closely linked to Bm) but it still has that all important B root note and is a much much easier chord to play than a standard Bm. I have to avoid strumming certain strings? That sounds really hard Mike! Don’t get too hung about skipping the 6th string. It’s definitely something you should work towards as an aim, but you’ll initially find it very difficult to do. That’s ok and it’s normal. Don’t fall into the trap of spending ages lining up your pick in just the right place before strumming the chord. It’s much more important that you just strum the guitar. This is something I hear a lot from new students. I admire your determination! But look at it like this: In the long-term we want you to be able to strum a Bm guitar chord while skipping the 6th string. That’s true. But it’s hard to do and is simply beyond the ability of most beginner guitarists. Trying to achieve this too early on just slows you down and stunts your progress. Trust me, I’ve seen people try to do this both ways and there’s a clear winner between the two methods. In the short-term, it’s more important that you just dive in and strum the guitar lots. 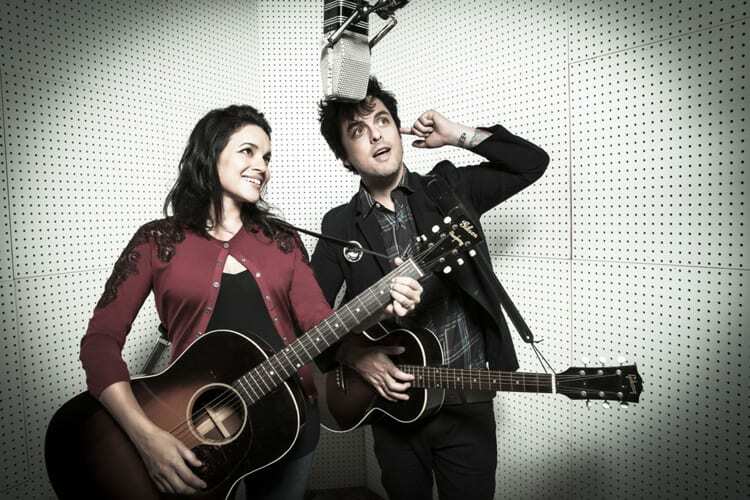 Our first goal is to get you feeling comfortable holding and strumming the guitar. 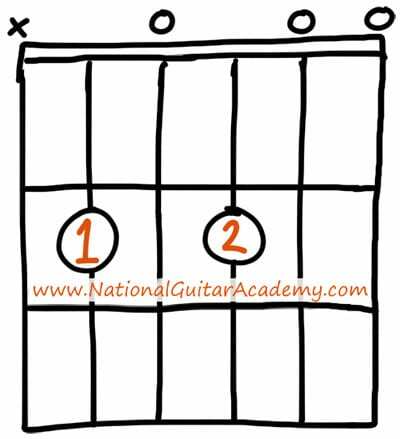 As you progress you’ll find that finessing a Bm guitar chord (and others like it) will get exponentially easier. Are there any other types of Bm guitar chords? If you’re still struggling, just play the super-easy Bm chord shape and keep practicing. You’ll crack it after a few hours. Who knows, maybe one day your guitar will be worth $657,000!